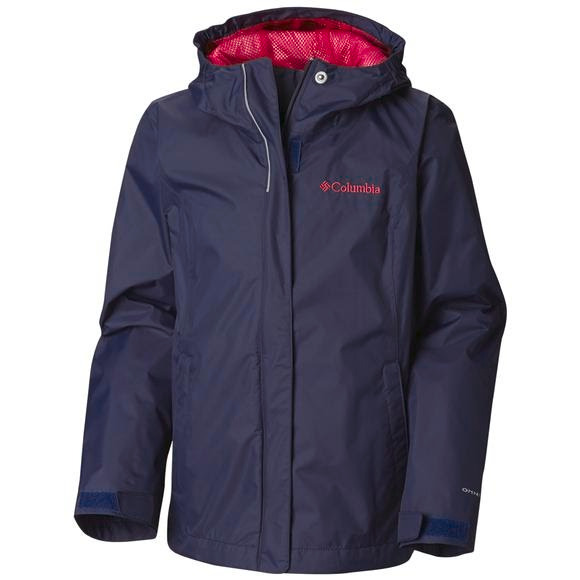 Waterproof, breathable and packable, this rainy-day Columbia girl's jacket is built to shield her from rain out on the trail and then stow away when the sun peeps out again. Omni-Tech™ membrane combined with full seam sealing and a soft mesh lining keeps her snug and comfy inside and out. Waterproof, breathable and packable, this rainy-day Columbia girl&apos;s jacket is built to shield her from rain out on the trail and then stow away when the sun peeps out again. Omni-Tech™ membrane combined with full seam sealing and a soft mesh lining keeps her snug and comfy inside and out. Measurements Center Back Length: 20.5"